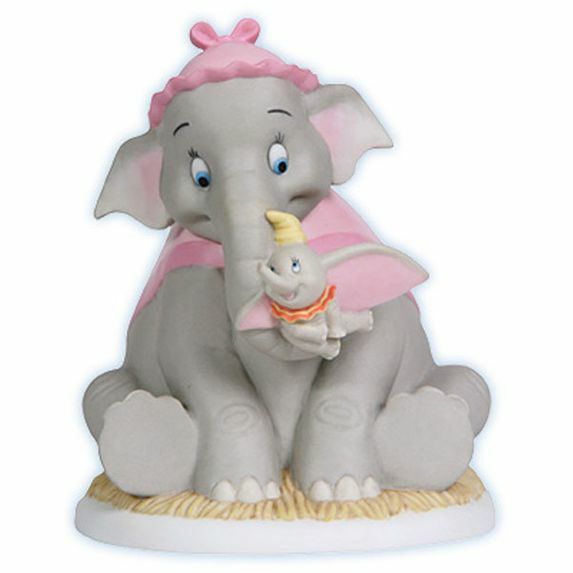 Disney's Dumbo and his mother, Mrs. Jumbo, are a picture of comforting love - no matter what, he always feels safe in his mother's embrace. This piece is a touching gift for someone who loves and supports you through each of your days. Porcelain bisque figurine. 4 " H. Disney Showcase Collection. Item#: 114708 - Height: 4 "